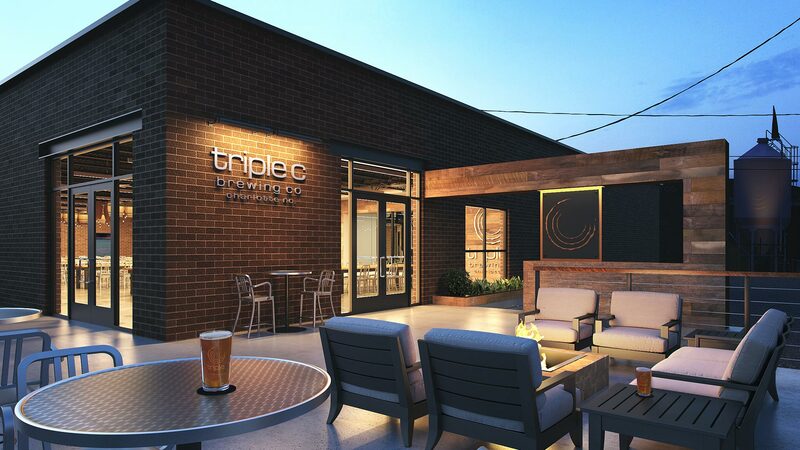 Redline Design Group designed the original Triple C Brewery Co. in the heart of Southend along the light rails several years ago. The brewery was so successful that people wanted to rent it out for events. With such high demand, they bought another historic warehouse building next door and asked Redline to make it into a Private Events/Specialty Batch Brewing space. Complete with a catering kitchen, a bar with numerous taps, restrooms and a large multi-function banquet hall, this space can serve any event. The existing walls and ceilings were removed to expose the thick brick walls, concrete floors and open roof trusses with wood decking. 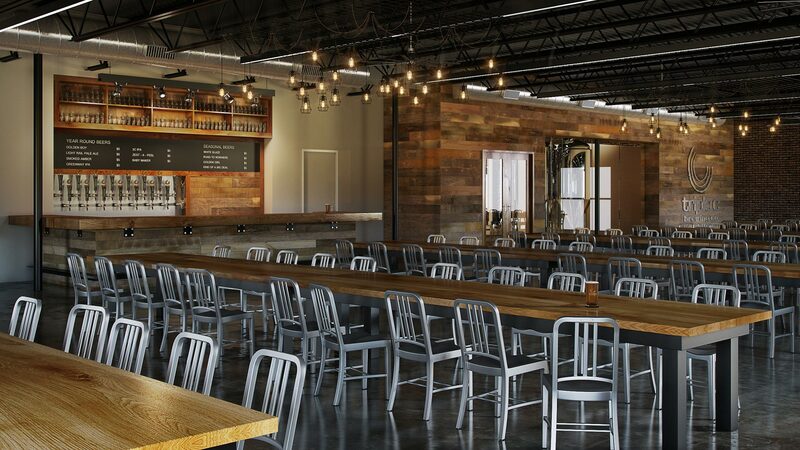 The bar & main focal wall gesture back to the brewery with pallet wood veneers and solid wood countertops. The exposed concrete floors were patched & polished and period light fixtures were added.